Chlorinated Rubber Paint (or just pool paint or rubber paint) is often considered for use in pools. So what is it and how does it compare with EPOTEC? 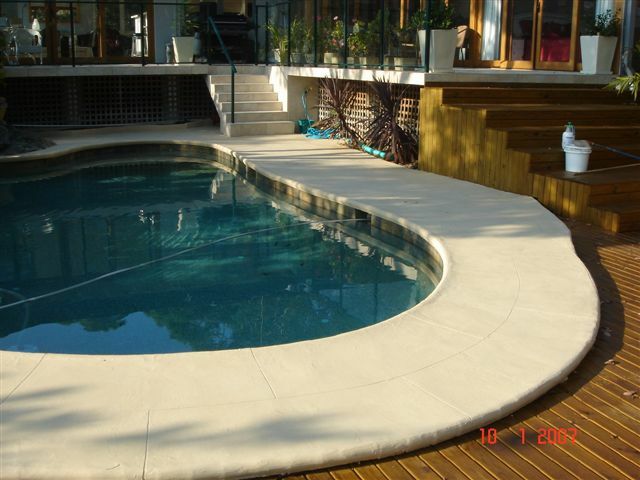 Usually it’s thought of as being flexible and as its low cost, a good choice for pools. In fact it’s softer than epoxies and is re dissolvable in aromatic solvents such as acetone or xylene. Such paint does offer good chemical resistant to some chemicals (acids and alkalis) and this is its main use currently such as on steel work, tanks and boats. It’s a very old formulation developed towards the end of world war II. Also they tend to lose gloss and yellow over time. 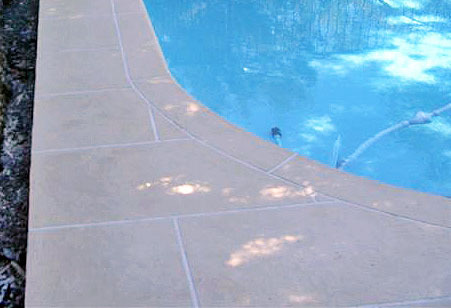 Chlorinated Rubber is not flexible as with elastomeric coatings such as acrylics and therefore will not bridge moving cracks on a pool surface. They can be made somewhat softer – flexible, but pick up dirt and thus this type are not used in pools. They are “thermoplastic” in that they soften with heat compared to epoxies which are “thermoset” and do not soften with heat. Chlorinated Rubber being single component paint is solvent based, is very flammable and has a strong smell as it’s about 50 % solvent. It can only be successfully applied on completely dry surfaces away from direct sunlight and in generally moderate temperatures. Usually 3- 4 coats are required and it will last on average 2 years. This paint is not easy to apply and suffers from blisters and poor adhesion if application conditions are not absolutely right. It means having a long window of fine warm weather to apply followed by a 7 – 14 day cure period. After 2 years or so it will be chalky, often faded and may present a powdery surface which comes off in the pool water, leaving a cloudy appearance. In addition once used, when you want to change over to a longer lasting epoxy the rubber paint all need to be removed as not compatible and this may incur substantial additional costs by way of abrasive blasting. Chlorinated rubber paint is still used in school and community pools where they have an annual maintenance budget to pay for the annual up grade, though many are moving to a longer lasting epoxy when finances allow for the expensive changeover. On the other hand Epotec is a hi build epoxy coating specially formulated for use in pools, will provide a seamless, hard wearing coating for 7 – 14 years. It’s applied in 2 coats and requires only 5 – 7 days curing. It may be applied to damp (but not wet) surfaces and will bond permanently with a clean, stable surface. Though its 2 pack is easy to use and has ample working life for a good result.